The most effective pools to swim are certainly indoor olympic pools. Not all countries are the very same, and swimming regulations and rules are changing from one country to another. 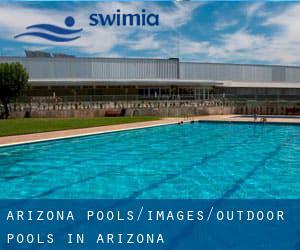 Swimia.com has essentially the most up-to-date database about Outdoor Pools in Arizona. Swimia.com needs your feedback to ensure all the information is valid, due to the fact maybe this pool is no longer open to the public. For Arizona and its vicinity, we're showing you all the registered Swimming Pools, a few of them have no GPS coordinates and you're not locating them at the map. Looking for Outdoor Pools in Arizona? Countless of them belong to gyms or sport centers which also offer lessons. Without a shadow of a doubt, swimming in Tempe may be the best way to unwind after function. Take a couple of minutes to browse Swimia's catalog to find a Swimming Pool in Tempe. Without a shadow of a doubt, swimming in Tucson may be the most beneficial option to unwind after perform. 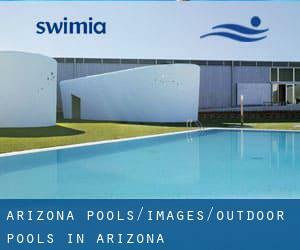 Take a couple of minutes to browse Swimia's catalog to find a Swimming Pool in Tucson. Holding an estimated population of 208.453, Gilbert is one of the most important cities in Arizona. Check all of the Swimming Pool in Gilbert and its surrounding area. Let us tell you a secret to switch off though you are in Chandler: just select a Swimming Pool in Chandler and plunge into the water! There's no more successful method. Holding an estimated population of 1.445.632, Phoenix is one of the most important cities in Arizona. Check all the Swimming Pool in Phoenix and its surrounding region. Swimming is really a wonderful concept to keep your body active during your visit to Scottsdale (Arizona), or perhaps if you are a local. Swimia helps you to find your closest Swimming Pool in Scottsdale. It's difficult to visit Arizona without dropping by Glendale (with 226.721 residents). Currently Swimia is showing you all the Swimming Pool in Glendale along with the closest pools located in its vicinity. Updated on 2019 300 Wigwam Boulevard , Litchfield Park , AZ , USA (Postal Code: 85340). Few days ago a normal user of this center told us they offer 100 feet, Outdoors. Furthermore, they keep in good conditions 20 yards, Outdoors. For this Swimming Pool, only phone number is number here. Updated on 2019 34631 N Tom Darlington Dr. , Carefree , AZ , USA (Postal Code: 85377). Among all the activities offered by the center, for anybody who is interested in swimming you can expect to enjoy 22 yards, Outdoors. Just in case you would like to get in touch with this Pool before dropping by, we only know the phone number. Updated on 2019 1563 E 36th St. , Tucson , AZ , USA (Postal Code: 85713). Among all of the activities provided by the center, if you are considering swimming you will take pleasure in 25 yards, 8 lanes, Outdoors. Just in case you want to contact this Swimming Pool before dropping by, we only know the phone number. Updated on 2019 1827 E. Enke Dr. , Tucson , AZ , USA (Postal Code: 85721). Among all the activities provided by the center, if you are thinking about swimming you can appreciate Olympic size x 25 yards, 8 x 18 lanes, Outdoors. Updated on 2019 7575 E. Princess Dr. , Scottsdale , AZ , USA (Postal Code: 85255). Swimmers like you reported 25 yards with 2 lanes marked off for lap swimming, Outdoors. Phone number and e mail address are number for this Swimming Pool. Updated on 2019 525 Boynton Canyon Rd. , West Sedona , Sedona , AZ , USA (Postal Code: 86336). Swimmers like you reported 20 yards, Outdoors. Unfortunately we do not have the e-mail address of this Swimming Pool, but we can give you the phone number. Updated on 2019 7401 N. Scottsdale Rd. , Scottsdale , AZ , USA (Postal Code: 85253). Swimmers like you reported 54.5 feet, Outdoors. Unfortunately we do not have the email address of this Swimming Pool, but we can give you the phone number. Updated on 2019 245 East Ina Road , Tucson , AZ , USA (Postal Code: 85704). This sports center provides 20 yards, 5 lanes, Outdoors. Contact details for this Swimming Pool such as phone number and email address are number. Updated on 2019 7171 N. Scottsdale Rd. , Scottsdale , AZ , USA (Postal Code: 85253). Swimmers like you have reported 48 yards x 24 yards, Outdoors. Also, you will find 54 feet x 24 feet, Outdoors. Just in case you need to contact this Swimming Pool before dropping by, we only know the phone number. Updated on 2019 1830 E. del Rio , Tempe , AZ , USA (Postal Code: 85282). This sports center gives Olympic size x 25 yards, 8 x 16 lanes, Outdoors. Updated on 2019 160 Portal Lane , Sedona , AZ , USA (Postal Code: 86336). This sports center offers 20 yards x 40 feet, Outdoors. For this Pool, only phone number is number here.